A 20 year veteran of Wall Street, Mr. Rich is the Head of Investment Banking and an Executive Vice President at National Securities since 2009. 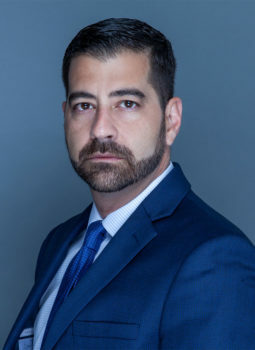 Mr. Rich worked for First Colonial Securities Group, a 13 office, 150 employee regional firm based out of Florida and New Jersey, first as a Senior Vice President and then as Managing Director in its Corporate Finance Department. Since his tenure at National, the team at National has been responsible for successfully sourcing, structuring and completing capital markets transactions within the healthcare, technology, energy and financial services sectors for emerging growth issuers with total transaction volume in excess of $3 billion. Mr. Rich received his M.B.A. from Fordham University Gabelli School of Business and his B.A. from Tulane University. Mr. Rich holds his Series 4, 7, 24, 53, 63 and 79 licenses. The Financial Services sector is a key vertical for National, with a team of banking professionals highly regarded for their deep industry expertise and relationships. Our investment banking activity in this sector mainly includes privately held and publicly traded BDCs, specialty lenders, mortgage REIT’s, investment funds and SPVs focused on equity and debt investments providing competitive yields in a low interest rate environment. 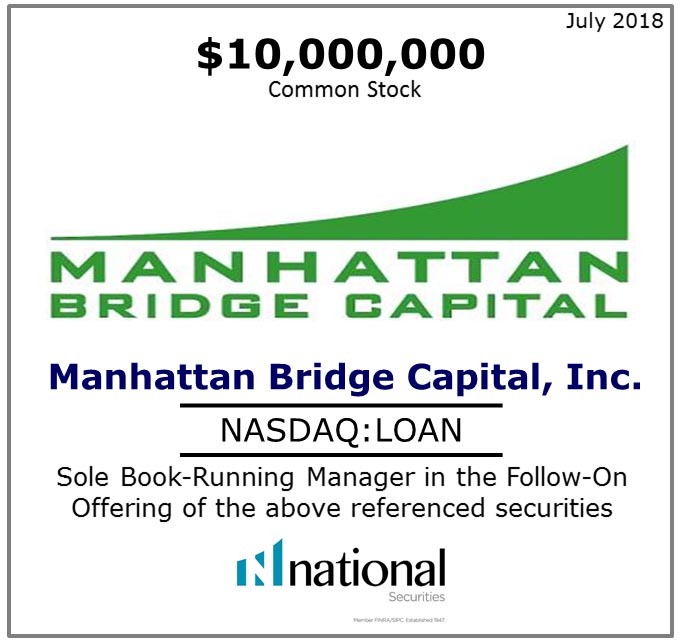 In the past six years, National has led or participated in 100+ transactions including private placements, IPOs, Follow-Ons, CMPOs, RDOs, PIPEs, M&A, and financial advisory. 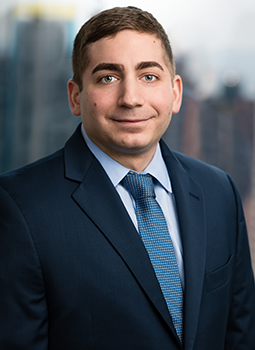 Christopher Testa joined National Securities in September 2014 as an equity research analyst covering Business Development Companies (BDC's). Prior to joining National, Chris worked in equity research at Sidoti & Company, LLC covering mortgage and specialty finance. 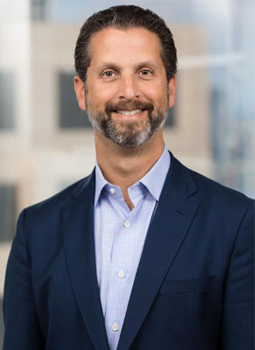 His career began at Boston Provident, LP, a long/short hedge fund specializing in financial services companies where Chris focused primarily on banks, mortgage servicers, and REITs (both equity & mortgage). Chris holds an M.S. in Finance from Pace University, Lubin School of Business and a B.S. from Pace University. National has a robust and diverse coverage of financial institutions companies with a particular focus on Business Development Companies (BDCs) and Registered Investment Companies (RICs). BDCs in particular have grown in number, size, and popularity as US banks have come under increasing regulatory pressure that has curtailed their lending activities and permitted non-bank lenders to thrive in their place. We believe that through independent portfolio analysis, manager selection, assessment of accounting practices, and an examination of capital management policies, investors can continue to find attractive opportunities in the space. February 11, 2019– Please note all per share figures incorporate the 1 for 3 reverse split that occurred in November 2018. AINV posted NII/share of $0.45 for F3Q19, a penny ahead of our estimate and matching the quarterly dividend. February 13, 2019– Ares had another strong quarter, posting core NII/share of $0.45 versus our estimate of $0.42 and the consensus estimate of $0.41. The earnings beat came as a result of the company having $2.7 billion of commitments on the quarter with the economics of the origination fees recognized up-front, driving higher fee income and thus the earnings beat. March 4, 2019– As a reminder, Barings took over the management contract from the former Triangle Capital which was, well, not exactly the best run BDC to be polite about it. Since taking over, management has implemented a very low fee structure and originated conservatively structured loans (low spreads and attachment points) while keeping a relatively high hurdle rate for incentive fees. February 6, 2019– For F3Q19, Capital Southwest earned $0.40/share of core NII, two cents above our estimate. The base dividend was increased to $0.36/share from $0.34/share Q/Q. We expect there is still a good runway for earnings growth ahead as the company posted core NII ROAE of 8.7% with D/E of 0.63x. We project that this number can get close to double-digits as the company nears 0.85x D/E in F3Q20, well under the Board limit of 1.50x (167% asset coverage). 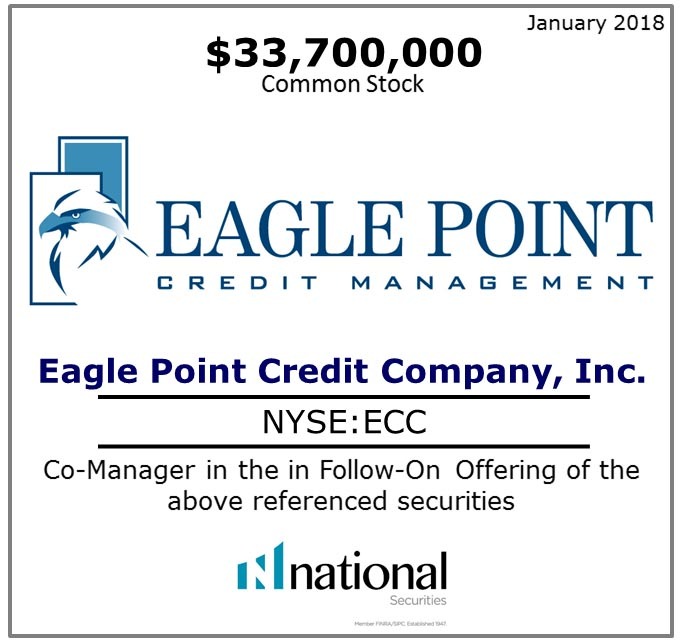 February 25, 2019– ECC earned EPS (NII+realized gains) of $0.38 for 4Q18, matching our estimate. Portfolio cash distributions (PCD) per share were $1.21 ($0.97 backing out called deals) compared with our estimate of $1.56 as the company reset four CLOs during the quarter, which as a reminder have significant up-front cash costs. QTD for 3/31/19, ECC has earned PCD/share of $1.05 backing out call proceeds at the time of the earnings call last week and thus we expect this to rebound nicely for 1Q19 as well as all of 2019. November 12, 2018– FSIC earned adjusted NII/share of $0.23 for 3Q18 compared with our estimate of $0.21 and the quarterly dividend of $0.19/share. The incentive fee was not earned on the quarter as non-accruals at cost increased to $210.4 million or 5.7% of the portfolio from $22.7 million or 0.6% of the portfolio Q/Q. March 4, 2019– FSK posted adjusted NII/share of $0.21 for 4Q18, matching our estimate and exceeding the $0.19/share quarterly dividend. NAV/share declined to $7.84 from $8.64 Q/Q as a result of the restructuring of Thermasys and mark-to-market losses from spread widening. The results were not a surprise as FSK pre-released preliminary results on 1/15/19 with NAV/share estimated to be between $7.82-$7.86 and NII/share for the year to be between $0.80-$0.83 for the full year (it was $0.82). March 11, 2019– Garrison posted adjusted NII/share of $0.20 versus our estimate (and the quarterly dividend) of $0.23. We note that the CLO was issued early in the quarter while most of the loans closed in December. Thus, we expect more of a pull through from interest income in 1Q19 from the robust originations of $113.0mm during the quarter. March 4, 2019– Goldman earned NII/share of $0.56 for 4Q18, matching our estimate and above the consensus estimate of $0.51. However, the company did not earn an incentive fee for the quarter as NAV slid by 2.6% Q/Q to $17.65 as a result of credit issues. February 11, 2019– GBDC earned core NII/share of $0.32 for F1Q19, matching our estimate and the quarterly dividend. The company didn’t recognize any dividend income from the SLF during the quarter although earnings were not impacted due to the incentive fee structure. Incentive fees declined to $2.0mm from $3.7mm Q/Q. March 7, 2019– Horizon earned NII/share of $0.34 for 4Q18, a penny above our estimate and comfortably above the $0.30/share quarterly dividend. Prepayment fees were $745K, up from $102K Q/Q and materially above our estimate for the quarter of $434K. Total principal repayments were outsized at $39.0mm on the quarter and $101.3mm on the year. 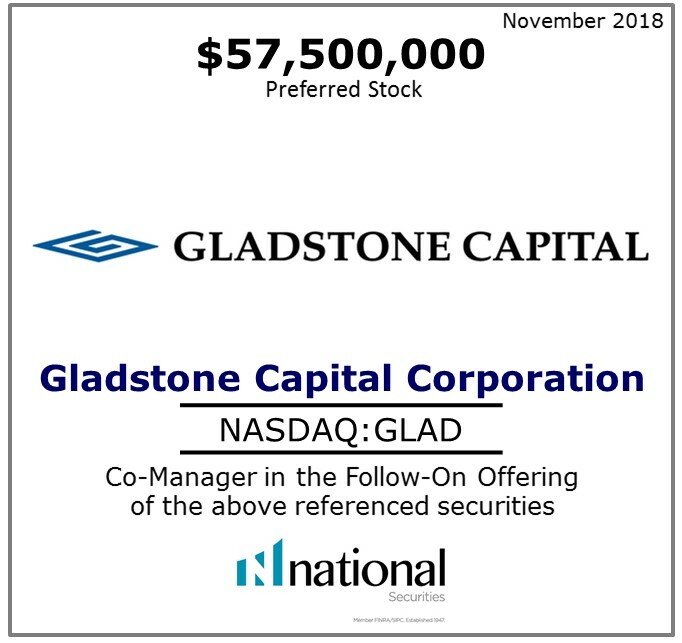 November 5, 2018– Main Street posted NII/share of $0.63 for 3Q18, matching our estimate and comfortably ahead of the$0.57/share regular quarterly dividend. The company guided towards DNII/share (NII + share-based compensation) of $0.63-$0.65 for 4Q18, which we think is a roughly $0.04/share difference from NII (NII/share likely $0.59-$0.61). 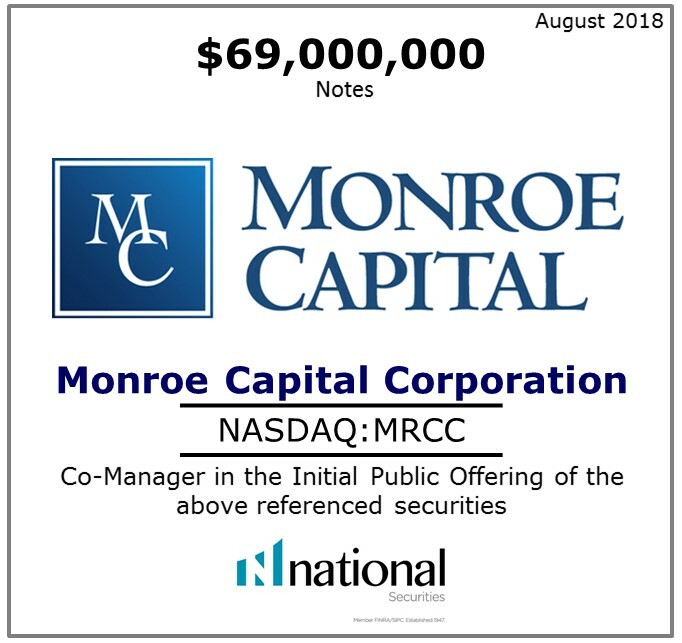 March 8, 2019– MRCC posted adjusted NII/share of $0.38 for 4Q18, a penny short of our estimate but well above the $0.35/share quarterly dividend. However, we note that the incentive fee was not earned for the second consecutive quarter due to further declines in NAV. We think that there will be no incentive fee in 1Q19 and a partial incentive fee in 2Q19. 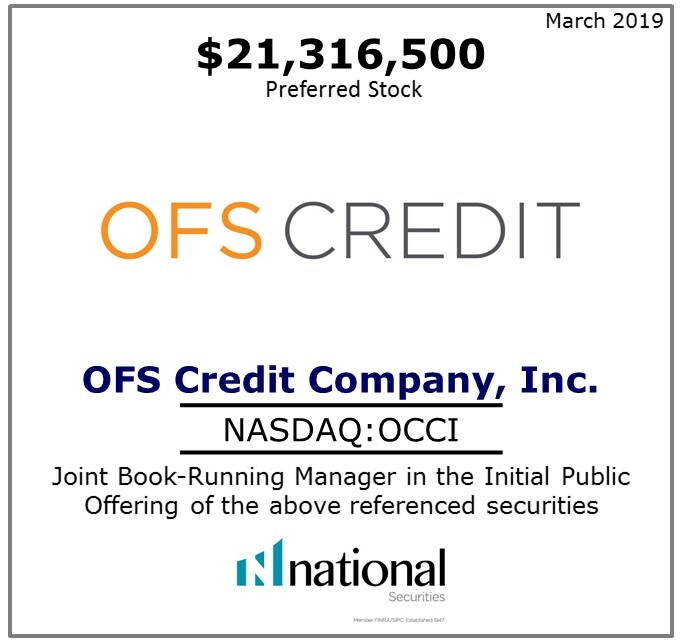 February 11, 2019– OCSL earned NII/share of $0.12 for F1Q19, a penny ahead of our estimate and comfortably above the $0.095/share quarterly dividend. Much more significant than the earnings beat, in our opinion, was that NAV/share improved to $6.19 from $6.09 Q/Q. Non-accruals (including PIK) appreciated by $47.1mm Q/Q. 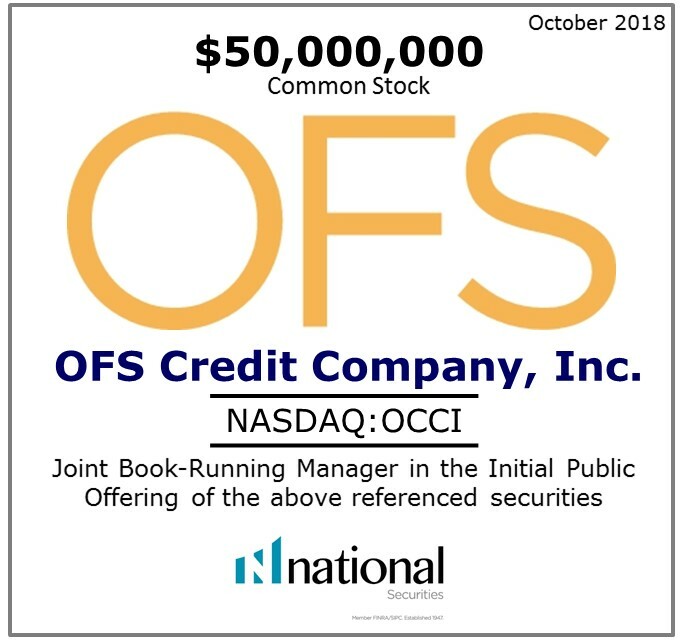 March 18, 2019– OFS posted NII/share of $0.40 for 4Q18, above our estimate of $0.37 and the quarterly dividend of $0.34. Notably, revenue was 6.7% higher than our forecast as prepayment-related income was $1.4mm on the quarter or $0.10/share. 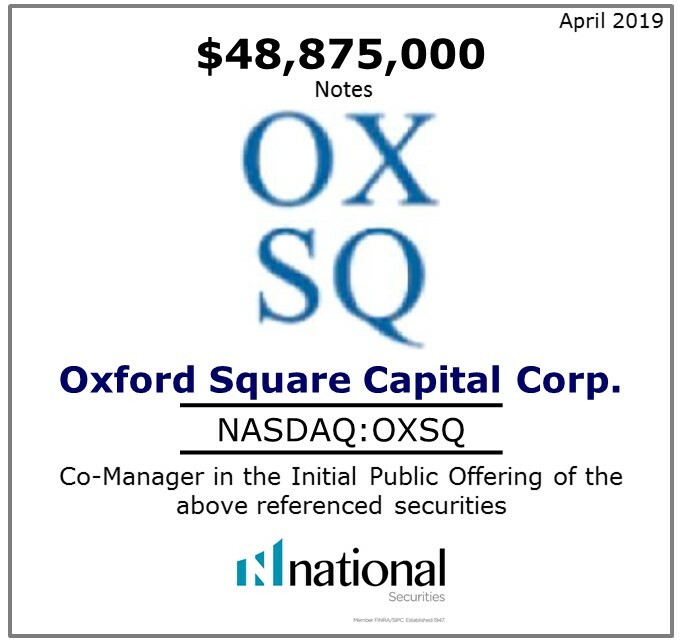 March 28, 2019– Oxford is offering $42.5mm of seven-year notes priced at a 6.25% with an overallotment of $6.375mm that we expect will be taken up in full for total gross issuance of $48.9mm. The notes will close in April 2019 and thus we expect a modest pay-down of the credit facility Q/Q for 2Q19 along with increased purchases of CLO equity and BSL (broadly syndicated loans). February 11, 2019– Prospect earned NII/share of $0.22 for F2Q19, a penny shy of our estimate as expenses were 8.4% above our forecast despite revenues being 1.9% higher. We had modeled $18.5mm of control investment dividend income which came in at $13.0mm but “other income” from control investments was $15.7mm versus our $2.8mm estimate as PSEC had a significant return of capital on its equity in NPRC and amended its loan terms for a $12.8mm structuring fee. We think that with cap rates rising future sales will generate less gains for PSEC from NPRC and that the most of the other income is also likely to be non-recurring, which points to pressure on earnings, in our opinion. 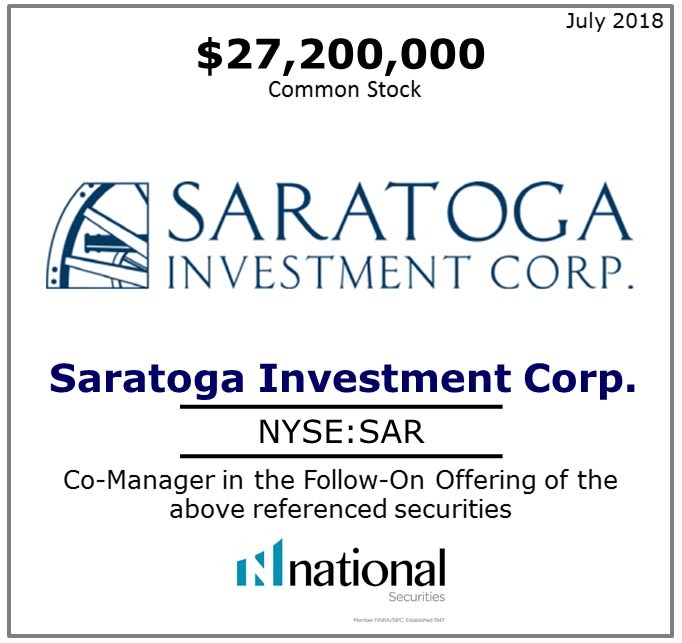 January 15,2019– For fiscal 3Q19, SAR posted adjusted NII/share of $0.65 versus our estimate of $0.61 and consensus estimates of $0.62. The earnings beat was largely attributable to significant originations of $73.7mm of which half of the origination fees are recognized up-front. February 25, 2019– For 4Q18, SLRC earned NII/share of $0.44, a penny sort of our estimate but comfortably above the $0.41/share quarterly dividend. The portfolio at fair value grew modestly on the quarter to $1.46 billion from $1.41 billion but was generally flat Y/Y. March 4, 2019– For 4Q18, BANX earned NII/share of $0.42, matching our estimate and easily exceeding the base dividend of $0.38/share. The company declared a $0.14/share special dividend for 4Q18 as a result of the strong earnings of the company relative to its distributions. March 4, 2019– For 4Q18, TCPC earned NII/share of $0.40, shy of our $0.43/share estimate but well above the $0.36/share quarterly dividend. NAV/share was down to $14.13 from $14.51 Q/Q and from $14.80 Y/Y. During the quarter, AGY was written down by $3.4mm, Green Biologics by $8.2mm, and Kawa Solar by $2.1mm for combined depreciation of $13.6mm. As noted last quarter, the only non-accrual, Real Mex, was exited in 4Q18. This was a legacy investment from before TCPC had its IPO. The company realized a loss of $25.8mm on Real Mex for 2018 and also had a $4.1mm realized loss on the exit of Globecomm. March 11, 2019– THL’s NAV/share declined to $9.15 from $10.10 Q/Q and $10.51 Y/Y. The company had $6.4mm of net realized gains versus unrealized depreciation of $36.7mm in 4Q18. Charming Charlie and LAI accounted for over 60% of the quarterly NAV decline and Charming Charlie had its term loans placed on non-accrual status. 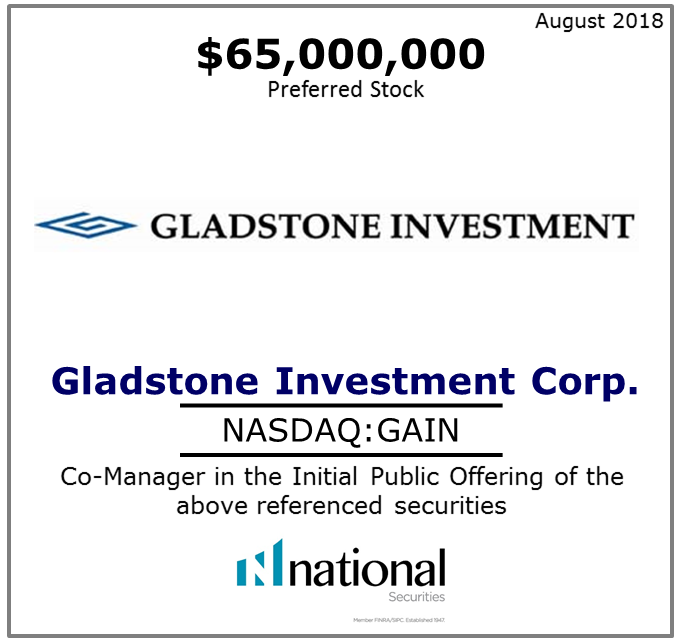 February 25, 2019– TPG earned NII/share of $0.67 for 4Q18, significantly above our estimate of $0.53. The previous quarter, TSLX marked up their Northern Oil investment in anticipation of the prepayment and the associated call protection on their loan. This appreciation was reversed this quarter as the loan prepaid but the income was recognized into NII. The net effect was that NII was increased but GAAP net income decreased. The impact of Northern Oil was roughly $0.29/share. February 25, 2019– The 12/31/18 quarter saw the biggest loan market volatility in years with the average bid on loans declining 5.8% on the quarter per the LSTA index. The volatility in BSL benefitted XFLT in two ways as we see it: 1) The existing CLO equity structures benefitted given their liabilities are locked in for twelve years while they can reinvest for five years, allowing increased cash flow and GAAP earnings and 2) The volatility enabled XFLT to make relative value trades across its structured credit as well as first and second lien loan positions and high yield bonds.